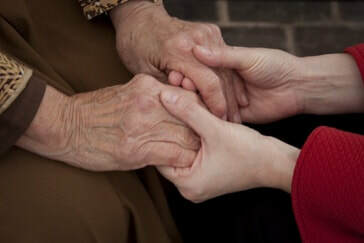 The Pastoral Care Ministry offers love and support to parishioners who are ill or have had a family emergency. Pastoral Care works in several ways to meet the needs of our parishioners, that include keeping a prayer list, home communions, a card ministry and a meal ministry. Parishioners may contact Jane Tupper (843-873-4945) or Mary Comer (843-225-7590) in the parish office to notify the church of a specific pastoral need. Jane Tupper (843-873-4945), chair of the Pastoral Care Ministry at Good Shepherd and Mary Comer (843-225-7590), parish administrator maintain the Good Shepherd prayer ministry. Church of the Good Shepherd is very intentional in faithful intercessory prayer for our loved ones who are sick or in need. Those most acutely in need of prayer are added to our spoken prayer list (to be read aloud each Sunday during the prayers of the people). Once a person has either improved or has moved from acute to longer-term needs, the name is moved to the printed prayer list (which appears each Sunday in the bulletin). After two months, the names are removed, unless requested to remain for a longer duration, or if a request is made to retain them permanently (in the case of chronic or terminal illness). Please submit your requests and updates to Jane Tupper, chair, or Mary Comer, parish administrator . Fr. Dow Sanderson takes holy communion to parishioners who are home bound or in the hospital. ​Good Shepherd also has several Lay Eucharistic visitors who are trained to take communion to parishioners. Jo Bonnette faithfully maintains the card ministry, sending notes to parishioners who are ill or have had a loss in their family. Jane Orienstein works with a team to provide occasional meals for parish families when someone has had surgery or is acutely ill.